I don't have much time to write, but we have made it to Florence. 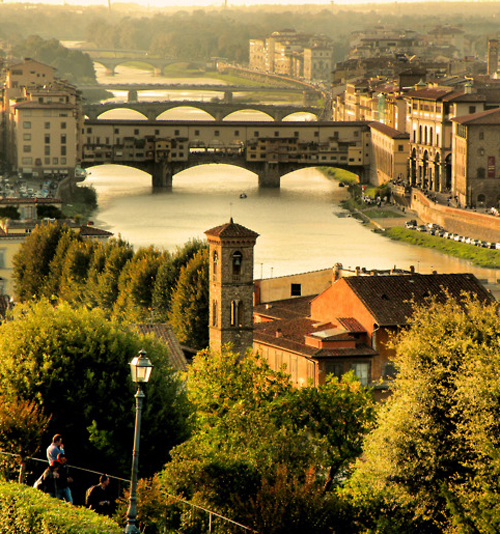 I hope to walk along the water, watch the sunset, and have some gelato. I'm also looking forward to perusing their famous marketplace, although I don't love bartering down prices. People always tell me that that is the nature of the game, but I would prefer to avoid it altogether. I got engaged in Firenze (in the Boboli Gardens) and went back on our honeymoon. I will always have a special place in my heart for it.